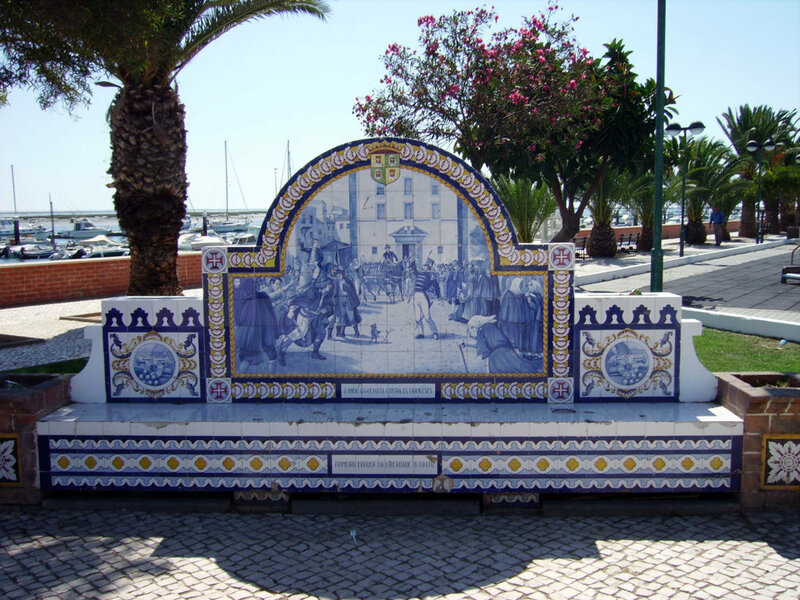 The history of Olhão does not date back as long ago as the history of most towns in the Algarve. The simple fishermen’s huts were replaced by stone buildings in the 18th century. The fishing of tuna and sardines was the main activity of this town, where an important fish canning industry developed during the second half of the 19th century. Both activities led to the development of the town until the 1960´s, when the decline of the fish canning industry led to the town’s decline. This was due to the reduction in the consumption of sardines and to the competition from developing countries. 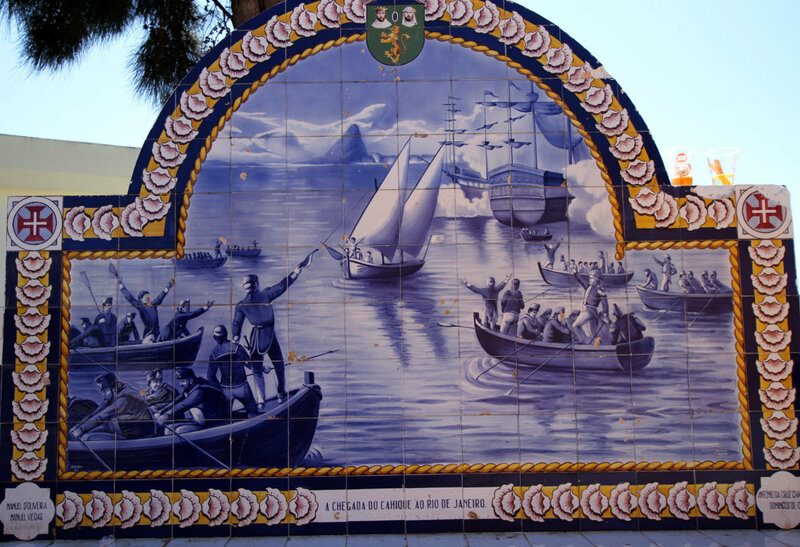 The most important historical fact about Olhão is that, in 1808, during the Napoleonic occupation of Portugal, it was in Olhão that a rebellion started against the French occupation. This succeeded in expelling the Napoleonic armies from the Algarve. This is depicted in the tiles of the picture below. As the royal family lived in exile in Brazil, a crew of 17 brave fishermen sailed (without navigational aids) a small fishing boat to Brazil. They traveled there to deliver the news to the royal family, that the French troops had left Portugal. In the picture below, you can find an exact replica of the original sailing boat, called Bom Sucesso. The picture below represents the arrival of the boat Bom Sucesso with the 17 fishermen in Brazil. Nowadays, the town is recovering and becoming a prosperous place, due to fishing, clam production, the shellfish trade, industry and services. 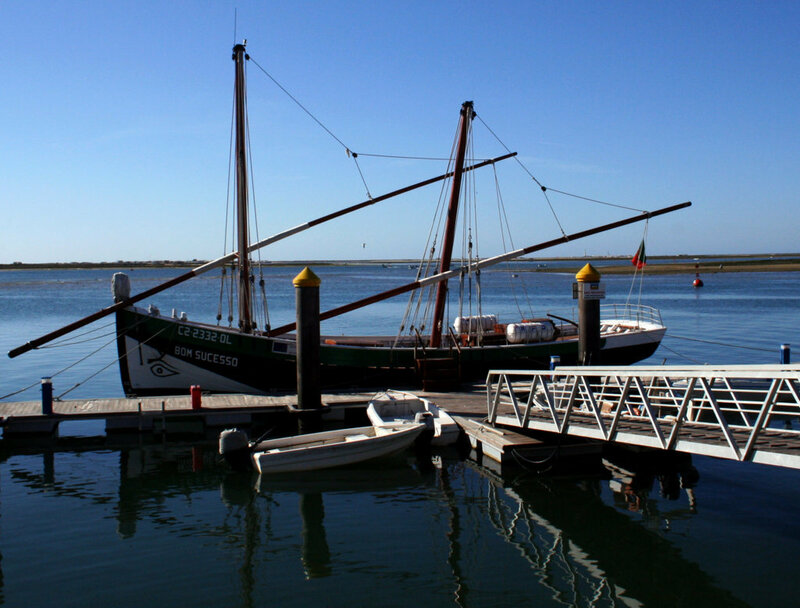 In recent years, the tourism industry in Olhão is developing.